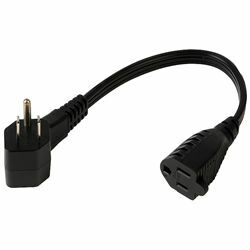 Just plug a bulky AC adapter into a Power Strip Liberator Plus II cable and plug the cable into your power strip. All the other sockets remain free! Best of all, the cable's pass-through socket provides you with twice as many outlets.